We’re in the heat of July and wonderful announcements keep rolling in. From new route releases, new game localizations, to virtual Youtubers - CYBIRD has us covered. For those who attended AX 2018 and had the opportunity to visit CYBIRD's table during the announcements, you all know this. Others may hear the news on social media and some of you may be hearing the news for the first time here! Act! Addict! Actors! News for an English localization for A3 surfaced a little over a week ago. You, as the player, are the president/manager for a theatre company and placed in charge of Ikémen troupe guys. The game is fully voiced and does not have a solid release date. You may have seen this before with CYBIRD and their well loved Otome, Ikémen Sengoku. In the video above, we witnessed Masamune's transformation in to a Virtual Youtuber. Currently under developed is a new VU Project set to release in 2018 (tentatively?) under character designer, Utako Yukihiro. 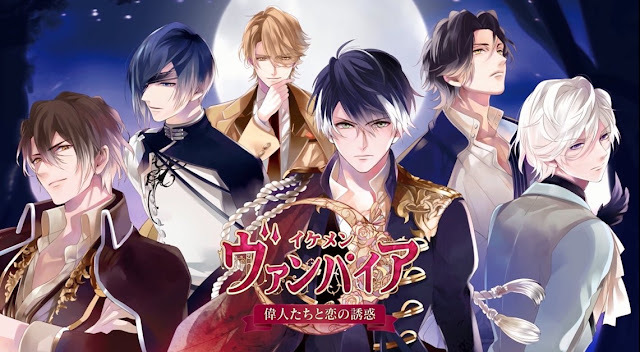 CYBIRD's Ikémen Series took everyone by storm, with many loved Otomes and handsome men; their latest release being Ikémen Revolution. 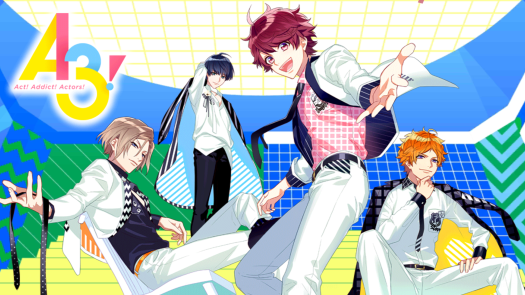 The past few months, prior to IkeRev's release, speculation surfaced on which Ikémen series game was next and now, we have reason to celebrate even more! With an unknown release date, aside from the year 2019, CYBIRD intends to release Ikémen Vampire. So we have plenty of time to prepare our hearts [and wallets, lol]. Are you all as excited as we are? Who are you looking forward to meeting the most in IkeVamp? ☆*:.｡Blah-Bidy-Blah｡. :*☆: [News] Ikémen Series Announcements!